Mozzarella is phenomenally popular around the world, held in high esteem for its satisfying texture and delicate milky flavour. Find out how this pearlescent cheese came to be and why fresh really is best when looking for top quality mozzarella. Among Italy’s countless gastronomic treasures, buffalo mozzarella must rank as a true jewel in the crown. 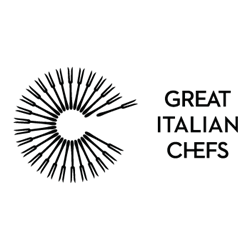 Just think of the dishes that rely on this glorious Mediterranean pearl – a multitude of pizzas, aubergine parmigiana, Caprese salad, toasted paninis and more. We must eat tonnes of mozzarella in the UK every day, but how much of that is the real deal, and does it make any difference? To answer that question, you’ll have to visit Campania, where cheesemakers have been cutting mozzarella curds for hundreds of years. As with many of Italy’s oldest cheesemaking traditions, mozzarella di bufala started life in a monastery. Around the twelfth century, monks all over Italy started utilising their livestock to create cheese that could be matured to feed them all year round. Monks at San Lorenzo monastery in Capua started creating mozzarella around this time too, using milk from native water buffalo that grazed on the local marshlands. The monks would give out the cheese – called ‘mozza’ in original documents – as a meal to feed visiting pilgrims. In 1570, papal chef Bartolomeo Scappi referred to a buffalo milk cheese called ‘mozzarella’ in his culinary writings, and the cheese we know today was born. The cheese made by monks many hundreds of years ago bears more than a passing resemblance to the mozzarella made by cheesemakers, or casefici, today. 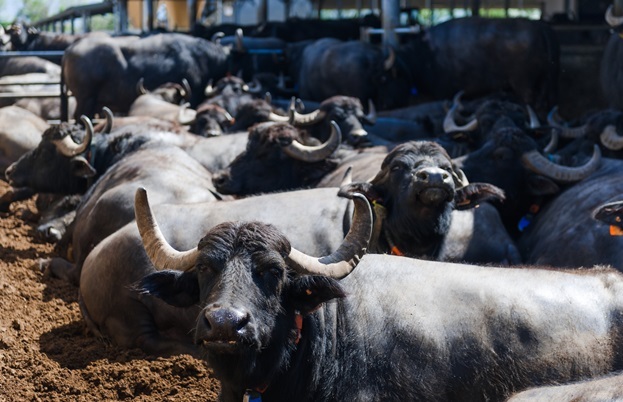 The methods have stayed largely true to their origins, and ever since the foundation of the Consortium for the Protection of Buffalo Cheese of Campania in 1981, production has been closely regulated. 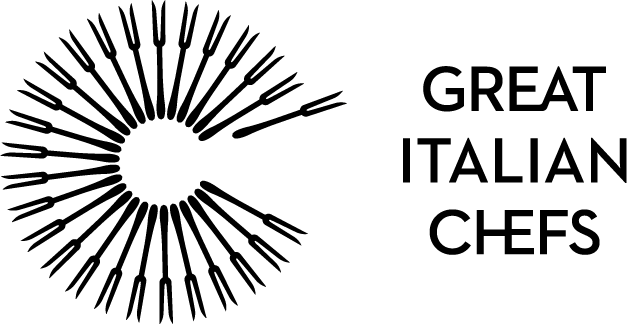 Since then, mozzarella di bufala has been awarded both PGI and PDO-designation, meaning that Mozzarella di Bufala Campana PDO (to give it its full, proper name) can only be produced via the traditional methods from select locations in Campania, Puglia, Molise and Lazio. Aside from the addition of rennet and salt to create a curd, the only thing that goes into the production of mozzarella di bufala is buffalo milk. The milk is warmed, then the rennet added to in order to curdle the milk. Once the curds have separated, they are stretched and kneaded until they are smooth, then shaped into balls and plaits, ready for eating. It’s a simple process that reflects the purity of the product, and results in a gleaming white pearl of soft, milky cheese. So, does the mozzarella you buy from the supermarket resemble the true mozzarella? Probably not. 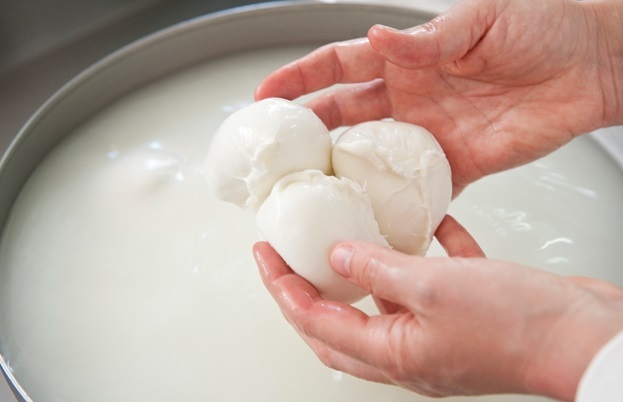 For starters, mozzarella di bufala has to be made with water buffalo milk, as per its PDO-designation. Confusingly, if you pick up a packet that says mozzarella, but does not say ‘di bufala’, it probably isn’t mozzarella at all – the chances are that it’s made with cow’s milk, which technically makes it another thing entirely, known as fior di latte in Italy. Fior di latte has a similar texture and flavour to mozzarella, but tends to be slightly more stringy, especially when it melts. If you buy the real deal in the UK, you’ll certainly notice the difference in the quality, but it still won’t taste the same as cheese eaten from the source. Mozzarella di bufala is not a cheese that travels well – eating it fresh is the only way to appreciate the subtle grassy, mossy flavours that come from fresh buffalo milk. Our advice? There’s nothing wrong with using a good fior di latte on your pizza, but if you’re making a Caprese salad or simply eating your mozzarella with a bit of salt and oil, it pays to seek out the best mozzarella you can find.